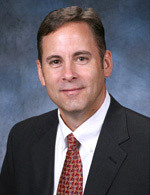 David D. Reynard, Jr. is a founding member of WaldenReynard, PLLC. He was born in Dallas, Texas on December 17, 1963. He graduated from the University of Texas in 1988 then obtained his J.D. from Thomas M. Cooley Law School in 1992. He has extensive experience in toxic tort litigation, products liability, premises liability, insurance defense, maritime, medical malpractice and pharmaceutical litigation. In addition to Texas, David is also admitted to the State Bar of Arkansas and both the Eastern and Western Districts of the U.S. District Court for that state. While attending law school, David was the Associate Editor of the Thomas M. Cooley Law Review.